Have you been looking for the right media center to give your home the edge it needs but haven’t been able to find exactly what you want? 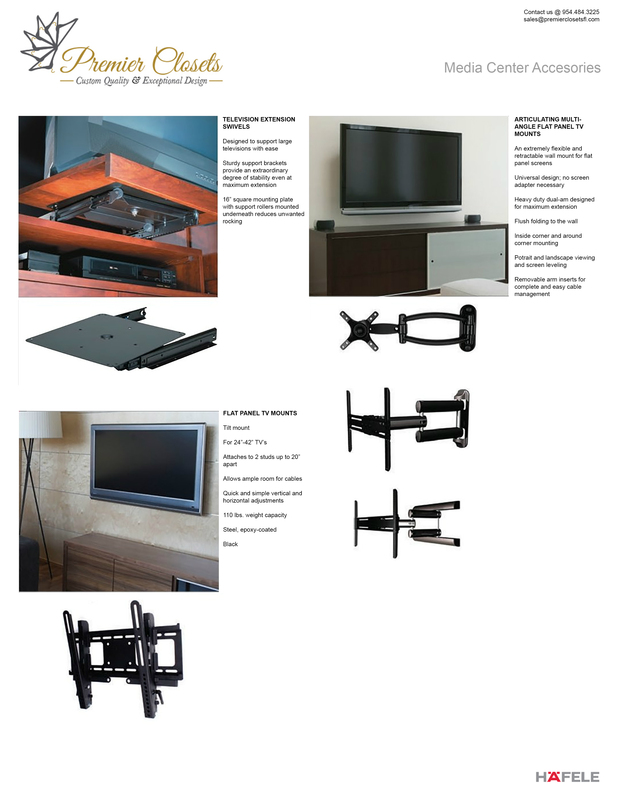 Let Premier Closets help you design a custom TV and media entertainment storage center. We offer many different style options including different material choices, color choices, and layout options. Our team of highly skilled professionals takes into consideration the needs and wants of each client we work with. We are able to accommodate any unique media that you may have in your media center. We can give you storage with closets, cabinets, and shelving that can be hidden and we can highlight your massive flat screen TV. 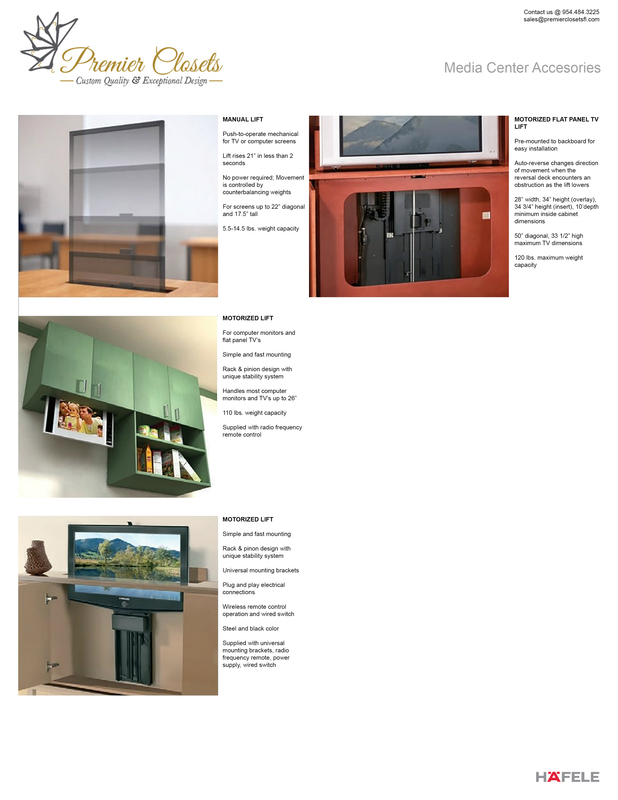 We believe that your media center should not only be stylish but highly functional. We can include adjustable shelving so you can display the items you wish to show off. Because the shelves are adjustable, you can move them so you can always keep your collection updated with new items. Our media design experts are also extremely talented at hiding sound equipment, so you can keep guests on their feet when you are watching your favorite movie or sport. You can feel like you are right in the action without unsightly equipment. We also like to help clients with the ambience of the room, so we can also help incorporate lighting options to work for your home entertainment center. Making your home media center into a beautiful room in your home is simple with Premiere Closets. Contact us today to see how we can bring life to your South Florida home.